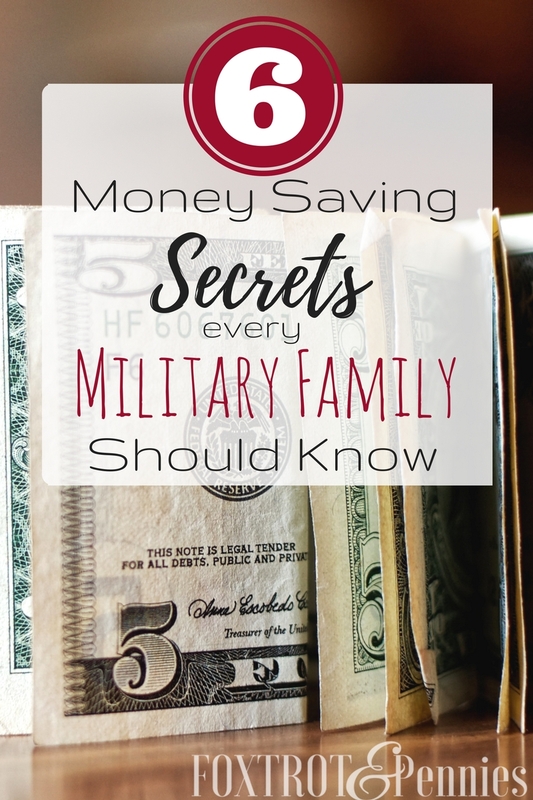 Money can be tight when you have a military family. 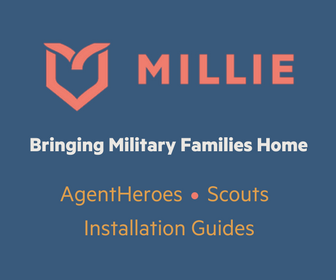 A lot of military spouses stay home with their kids or have trouble finding jobs due to frequent moves. 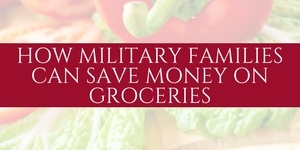 In fact, as many as 25% of military families struggle just to feed their families. Many have no idea where to even start when it comes to how to save money. My husband and I used to go out to dinner a lot, take little mini-vacations, go shopping, etc. My hubby loves to buy things (especially tactical gear; $70 for a SHIRT just because it’s “TACTICAL”.. but let’s not get into that). Anyway, when I decided to stay home, we knew we would be tight and we knew we would have to change our ways a little. Anyway, when I decided to stay home, we knew we would be tight and we knew we would have to change our ways a little. But that doesn’t mean you have to stop having any fun at all. 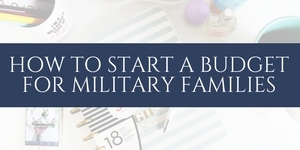 I have learned some great ways to save money (especially with travel) for military families. Find your closest commissary and shop there. We went from spending about $150-180 at Walmart weekly to spending about $150 every 2 weeks (or more). That’s more than HALF of our grocery expenses eliminated. Commissary also accepts coupons like all other grocery stores and the Rewards card allows you to use e-coupons. The closest commissary to us is about 20 minutes away and is very small (however, I have been to commissaries larger than my local Walmart). Despite the small size, I have never had trouble finding what I want and I love that they have name brands (unlike Aldi’s). It adds up quick. Don’t get me wrong though, not everything is cheaper. If you have a discount grocery store nearby like PriceRite or Kroger, you might end up saving more money there. USAA is like the military version of AAA. I found USAA when I was trying to rent a car while visiting my husband in Mississippi. I was 24 yrs and 11 months old and couldn’t find anyone that would rent me a car without an underage fee (you need to be 25 years old or they charge you about $30 a DAY). That’s when I discovered that renting a car through USAA not only got me a discount, but they also waived the underage fee. Now, keep in mind I was very last minute in reserving a car- so it was going to cost more for that reason anyway but I went from having to spend over $500 to $206 for a one-week rental. I’ll take it. Okay, so this is an obvious one. All military family members should know about Tricare and getting health insurance at no cost for active duty members. My husband has Prime and my son and I have Standard. Both have no monthly premiums and have good coverage. I’ve had 3 surgeries in the past year and I haven’t spent more than $100 collectively (excluding office visits and such). Dependents of military members are eligible for prime but I decided to keep standard because it is more widely accepted. What we didn’t always know was that we were eligible for health care benefits before my husband left for basic. We did have to pay for it because he wasn’t active duty, but even for Tricare Reserves, it was only $210 for family. Before we got married and switched to Tricare, I was paying $334 for just me. I highly recommend getting your pump through The Breastfeeding Shop, they were extremely fast (I received my pump in the mail after only a few days) and they also sent me a carrier bag for my pump and the parts that was so nice it looked like a purse! Have you had the same insurance since before you or your spouse joined the military? Make sure you’re not missing any discounts. 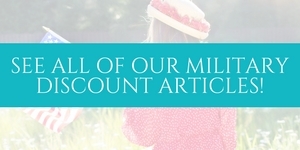 We didn’t even know that there were military discounts for car insurance until we added my husband to my policy. My husband was paying $170 for just himself through Geico. I paid $86 for mine, so our total: $256 (monthly). When we got married and added him to my policy (also Geico) as a military member, our total payment dropped to $117. Not bad at all. Bonus savings: If you can go down to one car then do it, you will be amazed at how much you save not only insurance but also gas and maintenance costs. Take advantage of those military discounts. You have earned them as a military member/family (spouses sacrifice too!) Don’t be afraid to ask! Hardware stores such as Lowes and Home Depot offer 10% to military members. Old Navy offers 10%. Yankee Candle, Best Buy, Apple.. the list goes on. Also, museums are a big one! We both got into the National History Museum in NYC for free. In Boston, we both got 50% off at the Aquarium and at the Children’s Science Museum my husband got in for free. Always ask, the worse they can say is no. We just found out about the major military travel hack and we really kicked ourselves! My hubby was telling one of his co-workers at the base about how we were going to be going to Boston. They got talking about the hotel we were staying at and they asked why he wasn’t staying at the base. Related article: Cut vacation costs in half by finding out which Air Force Inns are located in vaca spots! What we didn’t know is that regardless of whether or not you or your spouse are stationed there, you can stay at any base hotel (provided that there is a room available) for about $60/day. We used a Groupon deal when we stayed in Boston. Our room was only big enough to fit a full-size bed and had a very small bathroom. It also had no refrigerator (so the formula had to be on ice) or microwave. It was $75 per night, plus a $15 fee, plus a $15 hotel fee when we got there and NO parking- so add another $30+ for the parking lot. Had we stayed at the base, it would have been $60. Also, specify that you want a family room. 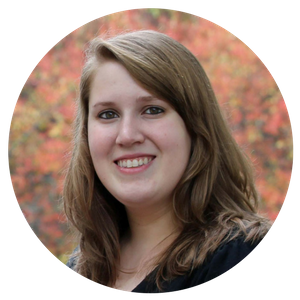 They were going to put me in a private room with a shared bathroom (uh…no) until I mentioned that my son was with me. Then I got a suite that was the size of my first… and second… apartments. Start taking action. Implementing these 6 money saving secrets will drastically reduce your overall spending. 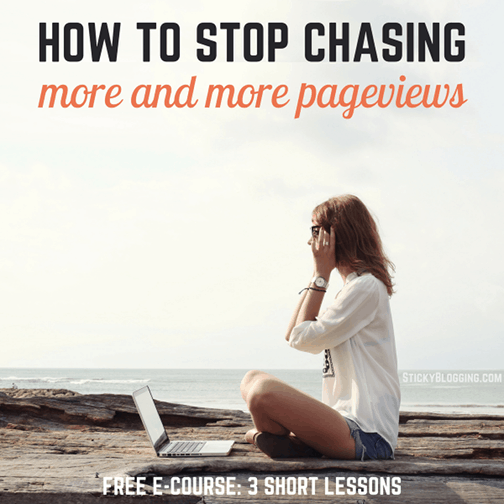 Whether you want to go as far as learning how to make and stick to a budget, or if you are just looking for ways to cut spending, this is how you can get started! This is a great list of military benefits, but I would caution anyone against accepting the advice without doing your homework. 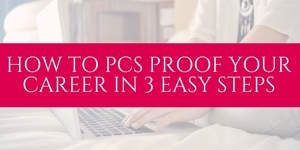 Check into all of these benefits diligently, but make sure to do your own comparison. 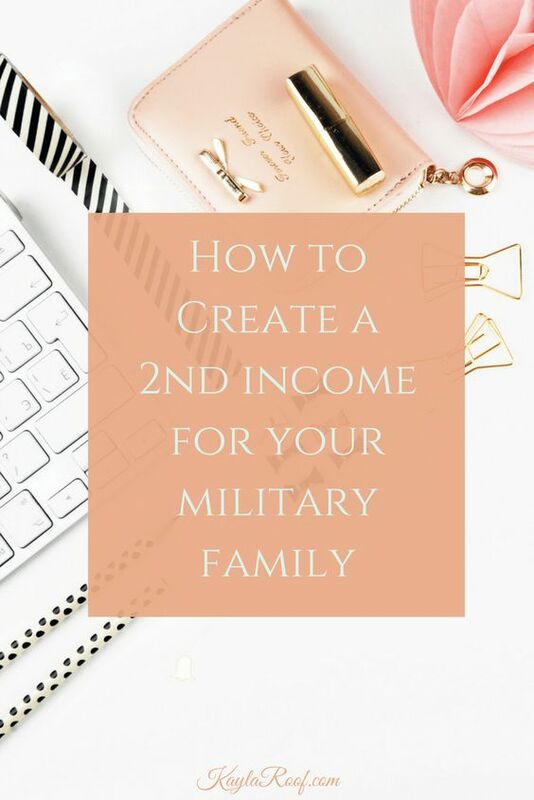 This is such a great staring point to get military families thinking about their benefits, but just make sure you aren’t in one of the areas where your benefits cost you more. I have never been to a base with a Commissary cheaper than the local grocery store, and we found USAA to be *slightly* more expensive for us (although their service and customized military features are well worth the extra cost). Sixty dollars is a lot to spend on a hotel, and base hotels are priced at local per diem, so many are higher, even in the hundreds. There are decent hotels for much less, especially if you check through ITR or other military travel programs.